I gave you guys 12 quick, recipe-lute breakfasts this week that are not only high in protein (15 grams or more), but also relatively inexpensive to make. Now I'm tackling the other meals, at least a little at a time. I'd like to focus on different ingredients, like beans, that are not only cheap, but also lend themselves to a variety of recipes from soups to burgers, and more. A singe cup of beans, as I covered in my more comprehensive Food for Runners post, provides nearly 15 grams of fiber and 15 grams of protein. This outstanding protein-fiber combination that isn't found easily anywhere else in the vegetarian/vegan diet. Try simmering up a delicious, basic Pumpkin Chili recipe. Or if pumpkin isn't your scene, you can easily substitute in more vegetable brother or some other nutritious puree to your liking. This recipe makes a good amount, so you can easily repurpose leftovers for lunch. Serve with some Olive Oil Skillet Cornbread for a perfect pairing. Get some spice with a hearty Smoked Chipotle Bean Burger. Unlike yesterday's Lentil + Quinoa Burgers, these guys are baked, not fried. And they include a nice dose of healthy quinoa, along with lots of flavorings to keep even the most discerning palate excited. If you don't need all 12 burgers for a single dinner, consider freezing them (here's how-to!) for future use -- or eating again later in the week. I don't remember much about normal meatloaf, but this tasty Bean "Meat"Loaf is surely the definition of vegan comfort food. The addition of walnuts to the mix adds even more protein. And the seasonings are really just suggestions -- you can use whatever you like or have on hand. You could even use leftovers to make faux meatloaf sandwiches! Another soup on the menu, but this one has a trick up its sleeve. This Black Bean Bisque is delightful on its own. But that's just part I. For part II: You can incorporate the leftovers (we had around 2-1/2 cups) into a warm Quinoa Salad for lunch the next day. The addition of kale makes the second time around even more packed with superfood goodness. This one always sounds a little strange, but I assure you -- it's a winner. Friday is time for celebration of a week gone by and time together as a family. We like this Black Bean + Tequila Crust Pizza that's teeming with vegetables and -- my favorite -- avocados. The beans are hidden in the crust, but you can always add more on top as well. Sometimes by Saturday I realize I haven't eaten enough greens for the week. That's where these Black Bean + Spinach Burgers come in. They pack 2 heaping handfuls of spinach into them -- along with rolled oats for bulk. Plus, they're green. Who doesn't love the novelty in that? This is my cooking day, and I always make something in our slow cooker. Today, mix up something to your own tastes using these 10 Tips for Slow Cooker Soup Perfection. Beans are usually the main event in my soups and stews, and for good reason. If you need something on the side, try Stephen's Garbanzo Garlic Knots -- they're something else. And if you have extra time on the weekend, consider baking up Red Velvet Black Bean Brownies or trying out this Black Bean + Avocado Pudding recipe. Oh, and this Chocolate Chip Banana Bread recipe get protein from garbanzos. Today is the LAST DAY to enter to win a Nokia Lumina tablet + Belkin Cook Stand/Stylus for your kitchen. Don't miss this #giveaway. It's our biggest yet! Looking for more shortcuts to healthful, satisfying meals? Check out our tips for Automatic Healthy Eating! 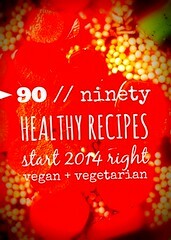 And don't miss our 90 healthiest recipes of 2013! Lots of delicious, wholesome foods for breakfast, lunch, dinner, and beyond. 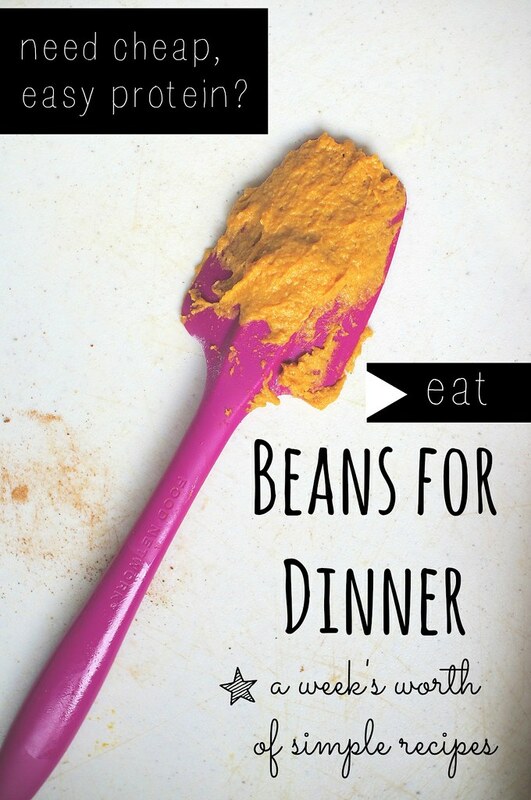 Includes both vegan and vegetarian recipes to please the entire family -- even toddlers!